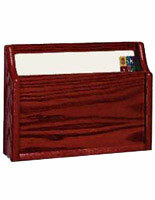 Single Pocket Designates Priority Docs! 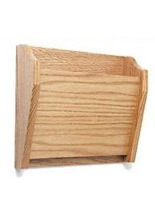 Light Oak Finish Looks Stunning! 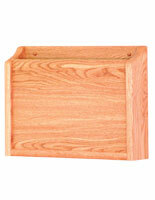 This single pocket business flyer rack is finished in light oak that provides any decor with a golden glow! 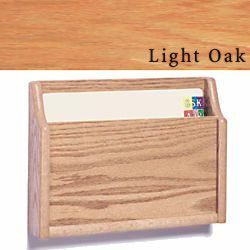 This literature displays unit is perfect for a medical office or simply placed behind a worker's desk to keep documents accessible. 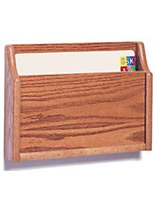 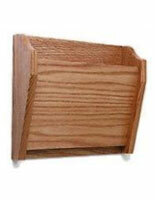 This single pocket business flyer rack, also known as a brochure holder, holds a 1-1/4" stack of docs. 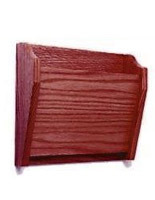 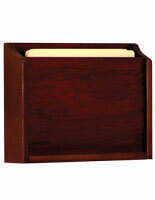 This magazine storage rackage that holds confidential documents is sturdy, and built to last for years! 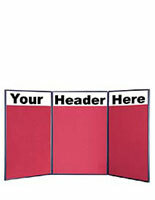 This single pocket business flyer rack, such as a paper sorter, is same-day shipped when in stock, and comes with mounting hardware!